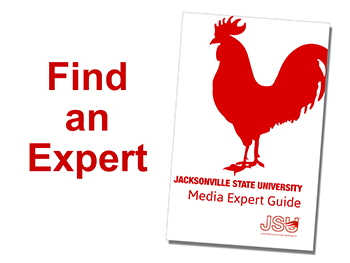 The faculty and staff at Jacksonville State University have accumulated a wealth of knowledge and experience on an array of topics and are happy to share their expertise and insight with local, state and national media. We welcome and encourage reporters to explore our Media Experts Guide online, and to contact the Office of Public Relations at (256) 782-5636 should you need an expert in a subject not listed in our guide. We look forward to assisting you with your request. JSU faculty and staff are encouraged to create a faculty experts profile and update it often.